Learning a musical instrument can seem like an incredibly daunting task. That’s especially true if you’re an adult who has never played before. After all, most of the people you know who play anything probably started when they were kids or teenagers. Whether you’re in your mid-20s or your mid-60s though, you can learn to play any musical instrument you want. While it may require a lot of hard work on your part, learning to play music can be incredibly rewarding. Keep reading to learn more about how you can overcome your fear of learning to play a musical instrument, as well as some tips on how you can get started. After all, once you get that instrument in your hands and a little practice under your belt, the fear of the unknown is likely to melt away quite quickly. When young children are learning to play music for the first time, it might not make sense to invest in a decent instrument. However, since you’re an adult with your own income, making an investment in good quality musical equipment makes a lot more sense. By purchasing something decent to play, you’ll be setting yourself up to learn the fundamentals on an instrument that allows for better performance. That can mean a lot, especially during the first frustrating phase where everything seems impossible. Since you’ll only be starting on the learning phase, consider purchasing the instrument at a beginner level. Should you choose to play a string instrument like a violin, it’ll be best to use a beginner violin so you familiarize yourself with the instrument. Purchasing a good quality instrument also means that it should have some resale value on the used market. If you buy a used instrument, you may even be able to sell it for the same amount you bought it for if you decide it isn’t for you. Music books aren’t the only helpful resource for adults learning an instrument, but things like music workbooks can really go a long way for many people. When you’re first learning, basic chord books and scale books can also do a lot for your progress. Find a local music shop and pick up beginner’s books that look appealing to you. 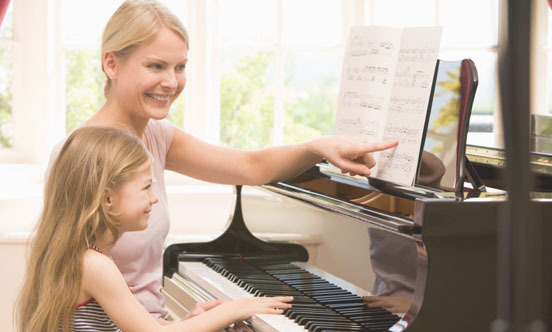 If you can afford it, private lessons will help you learn your instrument in a fast, efficient way. Even if you don’t take private lessons for months or years, getting a few when you first start can help you master the fundamentals, making learning the rest on your own considerably easier.